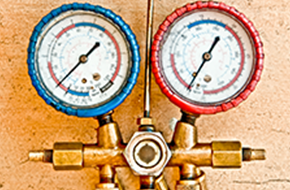 We are a licensed HVAC contractor providing services for heating, cooling, furnace maintenance, & heat pump repair. For your next heating or cooling service from our licensed HVAC contractor, call us (916) 692-0710. Leonard Heating & Air Conditioning is your one-stop shop for air conditioning, heating systems and HVAC in Elk Grove. Conveniently located in Galt, we offer our valued customers the best prices and service in the Sacramento area. 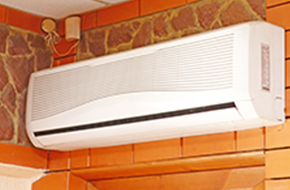 We repair air conditioners, repair and maintain furnaces and fix heat pumps too. With over 10 years’ experience in the business, you know Leonard Heating & Air Conditioning is a name you can count on. We value our loyal customers and we go out of our way to make sure your job is done right. You won’t be sold products or services you don’t need, and our polite, professional air conditioning, heating and HVAC experts will ensure that you only pay for the product or service that’s perfect for your air conditioning, heating and HVAC needs. We all know how hot it gets here in the Valley come summer. You shouldn’t wait until the mercury soars to make sure your air conditioning system is functioning at its best. Call Leonard Heating & Air Conditioning for a cooling system checkup and all your air conditioning maintenance needs. When repairs are necessary, we’ll fix your air conditioner right and at a price you’ll be able to afford. Come winter, Leonard Heating & Air Conditioning can help make sure your home heating system won’t leave you in the cold. Our heating experts will service or repair your furnace, heater, thermostat or any other heating system component that needs attention. 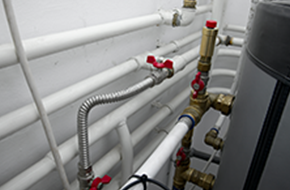 Call us at the first sign of heating trouble, or for your regularly scheduled maintenance. We service all makes and models, and we’re fully licensed and bonded so you can rest easy knowing that only the best-trained professionals will be working on your air conditioning, heating or HVAC job. Leonard Heating & Air Conditioning is open from 8–8 Monday through Friday, 8–5 on Saturday and we offer emergency service on Sundays. From Galt to Elk Grove, from Sacramento to Stockton, we aim to be your neighborhood’s number one heating and air company. We’re family owned and operated, so why not let our family take care of yours? Call Leonard Heating & Air Conditioning today for all of your home’s air conditioning, heating and HVAC needs. You’ll be glad you did.